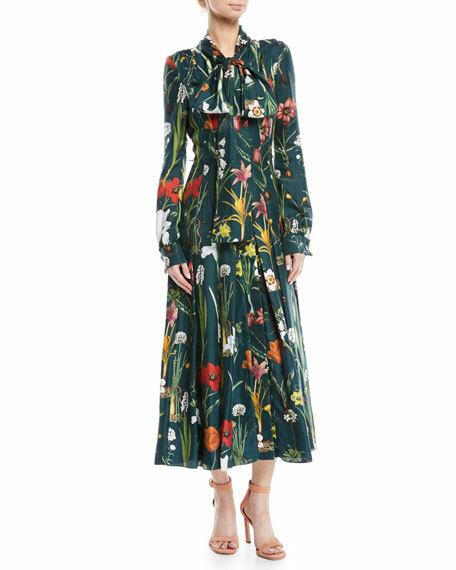 Oscar de la Renta garden-print silk shirtdress. High neckline with scarf tie. 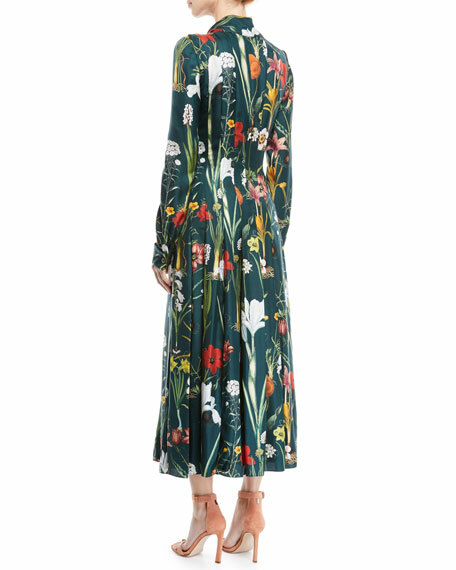 For in-store inquiries, use sku #2665258.